Our residents and their families value the distinctive blend of skill and compassion at the heart of Advent Christian Retirement Communities. More than words in a policy statement, heart-felt senior care is our mission. It began in 1920 with housing and care for retired missionaries and, in time, services for all elders with residential and health care needs. We’re a not-for-profit organization managed according to Christian principles and values, and welcoming of all, without regard to background or belief. Gifts from friends of ACRC, enable campus improvements and programs that will directly affect the quality of life for our senior residents. ACRC is a 501c3 nonprofit organization. Your gifts are tax-deductible to the extent allowed by law. 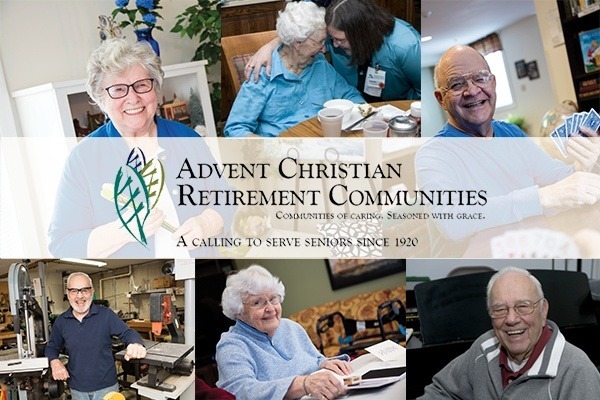 Advent Christian Retirement Communities Inc.